Pawan’s ‘new’ Look Is Not Real ? An old picture of beardless Pawan Kalyan is going viral on social media platforms for the past couple of days. Various memes have started circulating on this “new” look of Pawan. 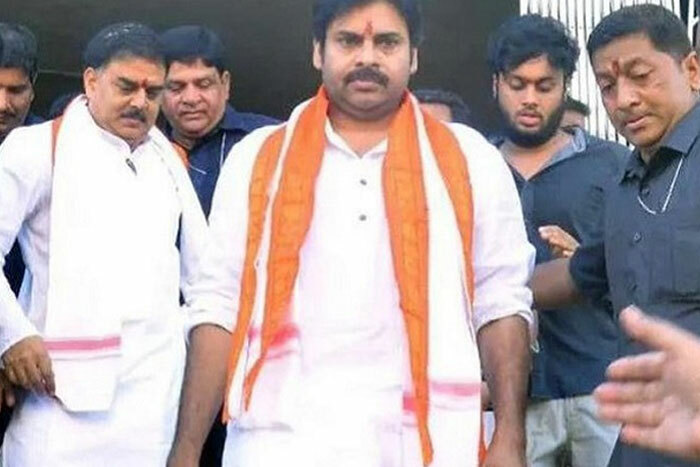 In fact, some media outlets also shared the picture of Pawan adding to speculation that this could be his new look – with a hair cut and shaved beard. Few of his trolls went onto comment that Kalyan is once again gearing up to act in films. But the truth is that this was an old picture of Pawan. Sources close to Pawan have quashed the reports of Pawan undergoing a hair cut and getting his beard cut. They clarified that Pawan is maintaining his same look as he contested elections in Bhimavaram and Gajuwaka. So, guys, Pawan’s busy beard is still there. Chill out. Let’s see whether he changes his style after May 23rd i.e after the results.